WANDIMA Environmental Services is an Integrated Environmental Management Consulting Company offering Advisory and Technical services on environmental management matters. WANDIMA Environmental Services main office is based in the city of Nelspruit (Mbombela) Ehlanzeni District, Mpumalanga. WANDIMA Environmental Services (Wandima) was founded in 2000 in response to an identified need in the environmental planning and management services. The company was formed mainly to assist emerging developers to comply with the relevant environmental legislation. The promulgation of the National Environmental Management Act (NEMA) and preceding legislation created a platform for government and non-governmental bodies to further the course of sustainable development and nature conservation. This legislation requires integrated planning for various development projects, and most notably the involvement of local stakeholders groups in development issues that directly or indirectly affects them. A premier consulting service provider offering sustainable environmental solutions. To promote sustainable development by implementing integrated Environmental Management Principles underpinned by full and effective participation of all stakeholders. Environmental conservation that is balanced with socioeconomic needs. Our approach to development is underpinned by the concept and attitude that looks at a site's biophysical and economic resources as integral aspects of sustainable development. To grow a sustainable company to world class standards. To provide strategic environmental planning services. To provide environmental assesment services. To provide integrated pollution and waste management services. To providue public participation process (PPP) services. 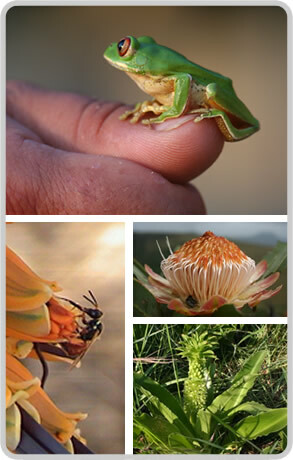 To provide biodiversity assessment services. To deliver according to client's requirements and within budget & timeframe. All employees play specific roles within the puzzle and are equally important. We respect the norms, values & diversite of cultures. We build friendships among the communities we work in.